Donald McLennan Grant was born on 26 February 1888 at Inverness, Scotland, son of insurance agent Donald Grant, and his wife Mary, née McLennan. On 3 November 1943 at his Double Bay home in Sydney, he married the librarian Elizabeth Jane Dowse with Presbyterian rites. On 18 August 1955, he married for a second time to Marjorie Francis, née Templeton. He died at Darlinghurst on 9 June 1970, survived by his second wife, and was privately cremated without a religious service. Grant was educated at Inverness High School and was apprenticed to a dental mechanic. He migrated to Sydney in 1910 and worked in a paper mill. In 1912 he joined the Australian Freedom League and became its treasurer. He was a fiery orator for the Industrial Workers of the World (IWW, also know as the Wobblies) at Sydney’s Domain raging against the war and conscription. Some of his remarks were deemed treasonable. In September 1916, Grant and eleven others were arrested for taking part in the campaign, on charges of conspiracy; they were known as the IWW Twelve. Grant received a 15 year gaol sentence. Following a Royal Commission into the arrest, trial and imprisonment of the IWW Twelve, Grant and his associates were released in late 1920, around two years after the war had ended. Grant authored a book, Through Six Gaols, which was published in 1921. This book detailed his arrest and trial, and his subsequent incarceration at six gaols throughout NSW over a four year period. He later became associated with the Labor Council of NSW. He worked as a dental mechanic in the early 1940s. As adviser to the Minister for External Affairs Dr H V Evatt, he represented Australia at the 1946 Paris Peace Conference and was a delegate to the International Labour Organisation Conference held in Montreal, Canada. He lived at New South Head Road, Double Bay. Grant was appointed to the Legislative Council in November 1931 and elected to the re-constituted Council from November 1934 to 1940 when he refused to seek re-election. He was a member of the Socialisation Committee of the State Labor Party. Grant was elected a NSW Labor Senator of the Parliament of the Commonwealth of Australia from 1 July 1944 to 19 March 1951 and 28 April 1951 to 30 June 1959. Donald Grant was Alderman for Phillip Ward, 14 September 1931 to 2 December 1934 and for Flinders Ward, 3 December 1934 to 1 December 1944. He was a member of the Finance Committee, 1931-34, the Electricity Committee in 1931 and 1933-34, the Works Committee, 1932-34, and the Health and By-Laws Committee in 1932. 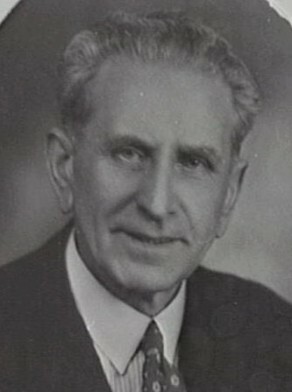 Frank Farrell, ‘Grant, Donald McLennan (Don) (1888–1970)’, Australian Dictionary of Biography, National Centre of Biography, Australian National University, http://adb.anu.edu.au/biography/grant-donald-mclennan-don-6453/text11047, accessed 16 January 2013.